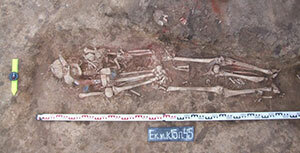 Two papers have been recently published, offering another interesting use of ancient DNA analysis for Archaeology and, potentially, Linguistics. Open access Ancient DNA reveals the chronology of walrus ivory trade from Norse Greenland, by Star, Barrett, Gondek, & Boessenkool, bioRxiv (2018). The search for walruses as a source of ivory -a popular material for making luxury art objects in medieval Europe- played a key role in the historic Scandinavian expansion throughout the Arctic region. 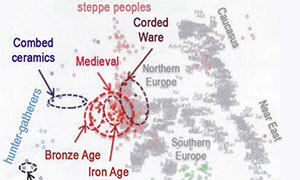 Most notably, the colonization, peak and collapse of the medieval Norse colony of Greenland have all been attributed to the proto-globalization of ivory trade. Nevertheless, no studies have directly traced European ivory back to distinct populations of walrus in the Arctic. This limits our understanding of how ivory trade impacted the sustainability of northern societies and the ecology of the species they relied on. Here, we compare the mitogenomes of 27 archaeological walrus specimens from Europe and Greenland (most dated between 900 and 1400 CE) and 10 specimens from Svalbard (dated to the 18th and 19th centuries CE) to partial mitochondrial (MT) data of over 300 modern walruses. 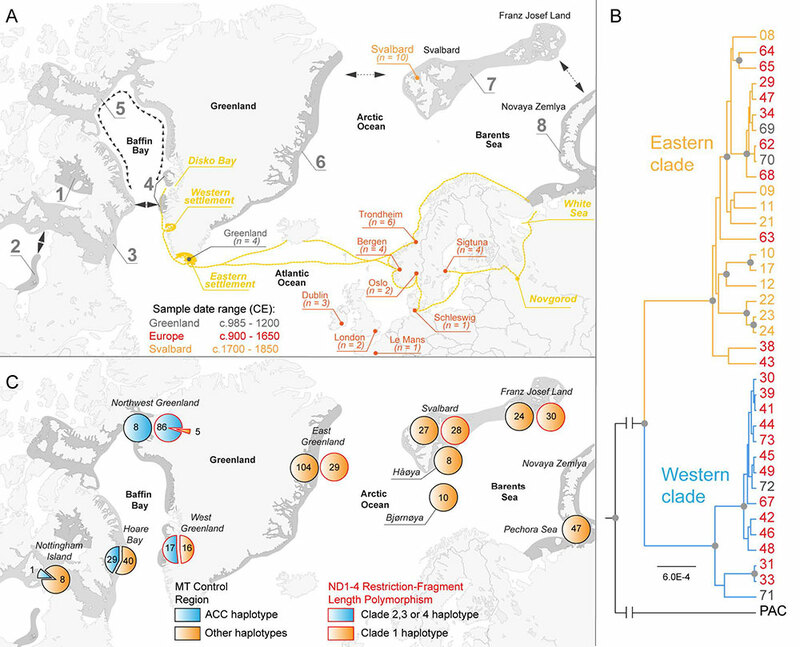 We discover two monophyletic mitochondrial clades, one of which is exclusively found in walrus populations of western Greenland and the Canadian Arctic. 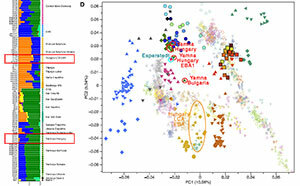 Investigating the chronology of these clades in our European archaeological remains, we identify a significant shift in resource use from predominantly eastern sources towards a near exclusive representation of walruses from western Greenland. 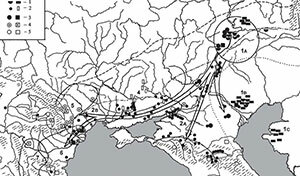 These results provide empirical evidence for the economic importance of walrus for the Norse Greenland settlements and the integration of this remote, western Arctic resource into a medieval pan-European trade network. 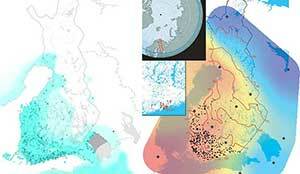 (A) Population distribution, historic trade routes and sample locations of Atlantic walrus in the northern Atlantic region. The range of modern Atlantic walrus (dark grey) and putative dispersal routes (black arrows) follow (58) and (31). Eight breeding populations are recognized (58); 1 – Foxe Basin, 2 – Hudson Bay, 3 – Hudson Strait, 4, – West Greenland, 5 – North Water, 6 – East Greenland, 7 – Svalbard/Franz Josef land, 8 – Novaya Zemlya. Historic trade routes from Greenland –including the location of Norse settlements– and northern Fennoscandia/Russia (yellow) indicate possible sources from which walrus ivory was exported to Europe during the Middle Ages. The Svalbard specimens (orange) were originally from hunting stations of the 1700s and 1800s. The other Atlantic walrus specimens (red, grey) were obtained from museum collections. (B) Bayesian phylogenetic tree obtained using BEAST (84) based on 346 mitochondrial SNPs using Pacific walrus (PAC) as an outgroup. Numbers represent the different specimens as listed in Table S1, and colors match the sampling locations as in Fig. 1A. Branches with a posterior probability of one (grey circles) are indicated. (C) Distribution of RFLP and control region (CR) haplotypes of modern Atlantic walrus populations. 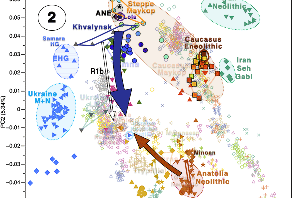 The RFLP clade classification follows Born, Andersen et al. (2001). The distribution of a distinct ACC CR haplotype is from 306 modern specimens (see material and methods). 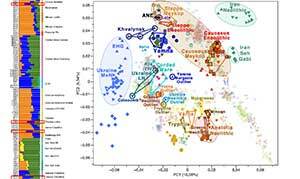 Determination of the geographical origin of leather shields from Zanzibar using ancient DNA tools, by Bastian, Jacot-des-Combes, Hänni, & Perrier, J Arch. Sci (2018) 19:323-333. Zanzibar shields are documented in several books and preserved in many European, African and Omani museums. 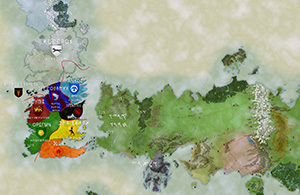 They are relatively small and decorated; therefore, we can assume that they served to not only to protect the hand during sword combat but also to attract the attention of the attacker. 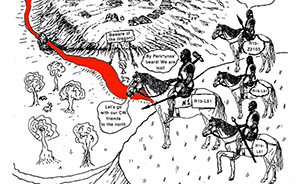 As with all shields, they are also an object of prestige and armorial bearing to identify the owner’s army corps. Within the incredible cultural and ethnic mosaic of this part of the Indian Ocean, the shield enables alliances, protection systems and allegiance to be specified and clarified. This study is a step towards understanding the nature of the relationships between Oman and the various communities living on the western coast of the Indian Ocean based on their material culture, especially their shields. Identifying the animal species used to make the shields was crucial in establishing both the manufacturers and the consumers of these objects. DNA analyses indicated that the leather used for the studied Zanzibar shields is rhinoceros (Diceros bicornis michaeli); a subspecies historically only present on the coast of East Africa. Our results also indicate that the shields, used mainly in Oman, Zanzibar and other regions with a strong relationship with Oman power, were made in Zanzibar and the Arabian Peninsula. 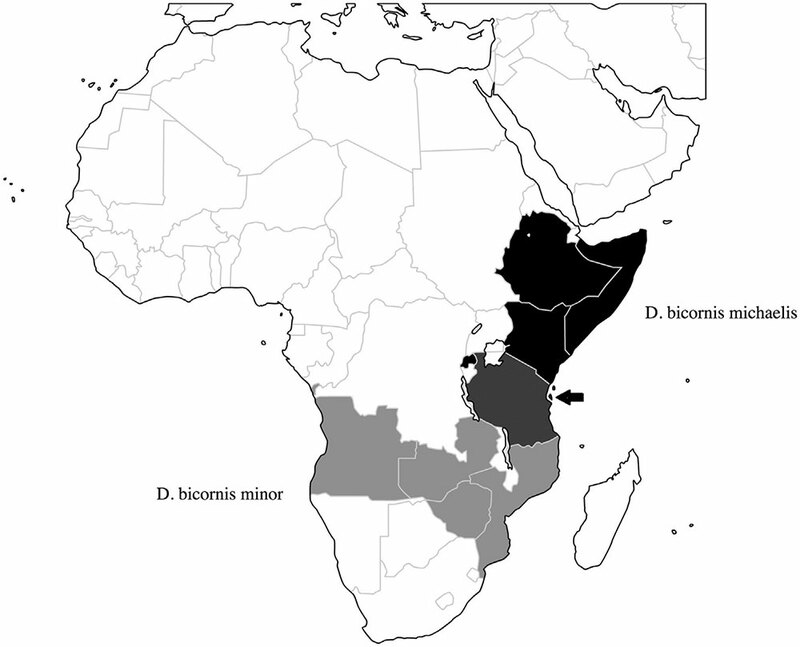 Ancient distribution of Diceros bicornis michaeli (eastern black rhinoceros) from southern Sudan, Ethiopia, and Somalia through Kenya into northern-central Tanzania. Dark grey represents the presence of both species. At the tip of the arrow: Zanzibar Island. Copyright: Fabiola Bastian. In a time when many geneticists seem to have shifted their full attention to novel statistical methods applied to a few ancient individuals, it feels good to see some of them using their research to complement traditional academic disciplines instead. 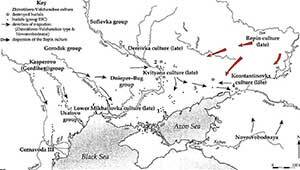 This kind of studies may help track with more detail the most obvious harbinger of potential prehistoric language change: the diffusion of material culture.